Swiss Hotel is located near the Mall. Swiss Hotel has an elegant stone-built Victorian Gothic architecture surrounded by bright and colorful flower garden. It is an ideal place to rejuvenate and enjoy the tranquil environment. 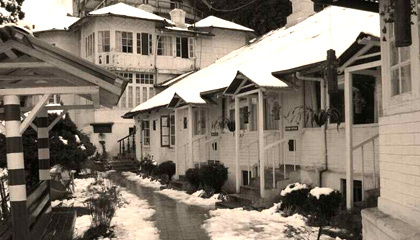 The Swiss hotel welcomes the guests with warm hospitality and provides them with excellent services making holiday in Darjeeling a delightful one. It is the ideal retreat for travelers looking for a reasonably priced hotel where they can enjoy a relaxed holiday in nature's lap. 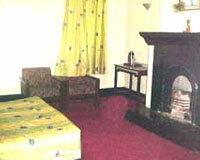 Swiss Hotel offers 12 well appointed rooms, 08 of them being in the double storied building and 04 in the cottage section. All rooms are elegantly decorated and equipped with modern in-room facilities. The Whistling Steam: A multi-cuisine restaurant offering the finest Indian, Chinese and Continental menus.